Here in the US as the gulf between rich and poor gets wider, an interesting thing seems to be happening. The rich, for all their privilege, look to be more insecure than the rest of us. More unhinged. A bit like a class of people who are rotting from the inside out. All you need to do is look at the president (lower case p on purpose — a small-but-satisfying act of disrespect). I was listening to a story on the radio yesterday that noted how he has changed the business of lobbying in DC. Apparently, many on K Street have learned that if they buy time from programs like Fox and Friends and run brief commercials about their area of interest, including images of Trump in those commercials, there’s a chance that he will notice and then view those subjects favorably. Staffers have used similar ploys to hold his attention, doing things like repeatedly adding his name in printed briefings to try to keep him engaged. It’s not just the under-handed methods being used to garner favor. Egregious as they are (and let’s not forget the huge amounts of money forked over for visits to his hotels and golf clubs) the even more disturbing part for me is what it reflects about the man. This is an exceedingly privileged white, adult male we are talking about. Only the best and biggest for him. And yet, his very being is, apparently, so fragile that without constant infusions of attention and adulation, he wanders off, deflated and lost. There’s absolutely no way that this could possibly end well. And now we turn to yesterday’s college admission scandal. You’ve probably read all about it. Let’s just say that a bit more of the veneer of America’s so-called meritocracy has been chipped away. The rich have always had a leg up when it comes to accessing slots at elite colleges and universities. Legacy kids get looked at differently, and if mommy and daddy contribute, say, a building, to their favorite school, probably little Susie or Jimmy is going to be looked at more favorably. But this latest scandal takes it all into a slightly different ballpark. Apparently, some wealthy folks are so worried about their kids getting into elite colleges that they have been buying into an expensive scam that essentially guarantees admission by paying off coaches in exchange for slots on teams — or in some cases actually offers to ‘game’ the SAT’s for students. Indeed, the very nature of the crimes alleged by the government illustrates the ways in which college admissions are not based only on academic merit. For example, John Vandemoer, the coach of the sailing team at Stanford University, is charged with certifying a landlubber as a sailing team recruit in exchange for a payment to the sailing team of $110,000. While it’s all incredibly corrupt and disturbing, there’s a sense in which it isn’t very new – just quite a bit more desperate. It further tells little Jimmy or Susie that they are essentially unworthy and incapable and thus, require Mommy and Daddy’s heavy lifting to get them what they want. It’s an ugly American lesson. As it plays itself out, it spawns emptier and emptier elites. 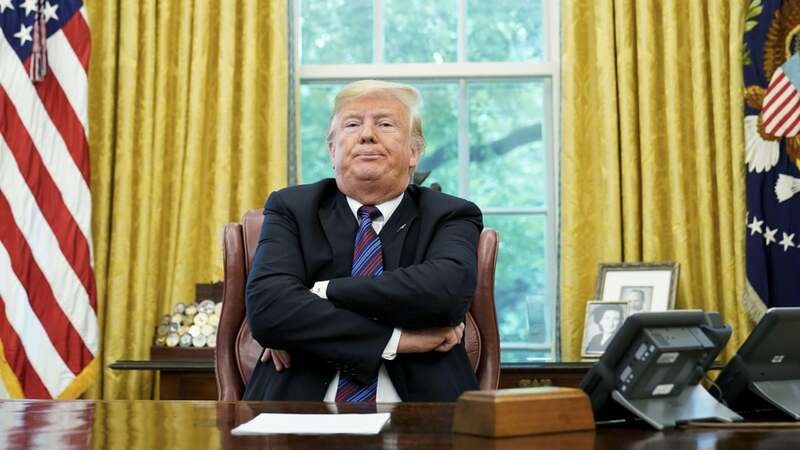 Pouting people like Trump and his pouting family, who have money and power and privilege, but no sustainable, central core of morality or real personhood. Here’s a link to a video of Mayor Pete at a bookshop, talking about his book. Had earlier tried to post a video of his interview yesterday in Texas, but it just wasn’t working very well. I’ll be back later, but enjoy this in the meantime! Has this country’s inequality, racism, and kowtowing to privilege ever been writ larger? I’m trying to have some perspective here. But is there any other way to see the Manafort sentence? Handed down by a 78-year-old product of Princeton/Harvard/Oxford who was gifted to the nation by Ronald Reagan, it is execrable in the extreme. Judge Thomas Selby Ellis III has just let us all know that, at least in his court, justice is meaningless. Yes, Nixon was a nightmare, but Congress eventually stepped in, overcoming partisanship and putting a stop to his excesses. The Bush/Cheney years were a horror, too. But at least they tried to hide their misdeeds, as they painstakingly parsed the definition of torture, for example, to make it ‘acceptable’ to do what they wanted to. There was that much lip-service to the myth of America. And the irony is that what’s propping all this up is a base made up of white folks who actually don’t have power or privilege or money. Fed a diet of Fox/Koch/Mercer propaganda and Trump lies, they are being shamelessly duped and manipulated. For what? For power. For money. For maintaining privilege. Yesterday afternoon I went to see La Fille Du Regiment at the Capital Center for the Arts with Alice (who was well-entertained, in case you were worried). The opera was accessible and enjoyable – very funny and surprisingly moving by turns. And there was an encore (below) something I’d never experienced before. Next year’s season of “Live at the Met” will be hosted in the new theatre venue in Concord, the renovated and remade Concord Theatre. Slated to be called the Bank of New Hampshire Stage the word is that it is scheduled to open in June of 2019 — an exciting prospect. I came home, then, and ruined my evening by exploring the news. Not a good idea these days. So, CPAC is happening in Maryland and apparently, The Donald addressed them yesterday. He spoke for more than 2 hours. More than 2 hours – let that sink in. He is one lonely, unhinged dude. Apparently, he even revisited the size of the crowd at his inauguration. And, of course, the adoring sycophants at CPAC ate it all up (although quite a few left before he was finished his hours-long ramble). Just dip into the video below at any random points – it’s so sweaty, bizarre, and disturbing. Here’s what I think about impeaching Trump (I know you’ve been waiting to hear). Since this all started, I’ve felt like the GOP should be the ones to do it. It’s their mess, after all. And if the GOP were to do it, it would be slightly less likely that his base would see it as a Deep State plot. Only slightly, because the liar-in-chief has been so carefully preparing the ground for ‘fake news’ and the Deep State to be the culprits. It’s crystal clear, though, that the GOP isn’t going to do a damn thing. Fiddling while Rome burns is a sad and understated analogy. So that leaves the Dems, and while it is politically perilous to even speak the “i” word if you’re a Democrat, I am starting to think it’s gotta happen. We are mad at the GOP for factoring in politics when he’s so clearly and criminally unfit. But aren’t the Dems doing the same thing? Wouldn’t it be amazing if those in a position to lead — no matter the party — were to put the country and its institutions first and say, “Enough is enough”? Isn’t that what’s needed? Yes, the GOP are a bunch of flaming hypocrites who gave us Benghazi and the impeachment of Bill Clinton but won’t make a peep about the cray orange miasma. Yes, they are #deplorable. You’ll get no argument from me — and when all’s said and done, I think they have destroyed themselves in the service of empty power. But I am understanding, less and less, what the Dems are waiting for. It’s time. He’s over-cooked. We voted you in. It’s time. This morning I am definitely feeling welcoming of a new month. February had its bright spots but overall, was a tough month. And you get no complaints from me, as we move toward spring and the days lengthen (and March Madness approaches). March sees the opening of baseball season, with the first pitch being thrown on the 28th when all teams play. (The Mariners and Athletics play in Japan, starting on the 20th — but that just doesn’t feel like opening day.) In Philly, the new season begins with a new player in the outfield — Bryce Harper. Suddenly the Phillies are serious World Series contenders, and I am confronted with my own hypocrisy. I’ve never been a Harper fan, and I foresee a dramatic turn-around on that front. Since he joined the Nationals I’ve generally thought he was a little full of himself and seemed a potential locker room problem (thinking of when Jonathan Papelbon joined the Phillies). You can expect an entirely different (and equally ‘informed’) take on his character starting today. I share this simply to be honest about my shallowness and lack of core values. But back to March. There’s that Brexit cliff that the UK seems to be walking toward. Personally, I am rooting for another referendum — one that votes down the EU exit and returns things to a sort of normalcy in Europe. And perhaps such a thing could even be a harbinger of the return of sanity here in the US. One can only hope. Who knows — maybe, in a burst of alliterative energy, March will bring the Mueller Report. I am heartened by the burgeoning of Democratic oversight. But I am also wearily disheartened by the horrifying disconnect between the GOP and reality. I mean, Donald Trump is so clearly up to his elbows in criminal activity and always has been. Imagine Obama’s name or Clinton’s name attached to any of the headlines about Trump and the howls of outrage we’d be hearing. Our friends in the GOP really do seem to be untethered to any set of values other than the retention of power. They’ve stepped right into Michael Cohen’s shoes and replaced him as the complicit fixers for the orange miasma. It’s disquieting, to put it mildly. But maybe I shouldn’t be too judgmental. Their hypocrisy, I guess, is not really that different from what you’ll see from me, as I start singing the praises of Bryce Harper, starting on March 28th. If you’re in DC the bars are opening early today, and specials are on tap for people gathering to watch Michael Cohen’s testimony, starting at 10AM. It’s been hyped through the roof and I admit, I am as interested as anyone in seeing the orange miasma exposed and humiliated. However, hearing Michael Cohen testify in surround-sound while drinking “Flipper” cocktails doesn’t change the fact that everyone involved in this mess is a low-life, Mr. Cohen included. So, we’ll get to hear how awful big Donnie is, and maybe little Donnie and Ivanka, too. In spite of everything that has been pretty obvious about Trump from the get-go, a LOT of people voted for him — people you know, people you work with, people in your family. In spite of what they know and what he has done in office, Republicans in Congress, for the most part, continue to support him. During his time in office, he has worked very hard to erode trust in the press, the Justice Department, and the institutions of government in general. At the same time, he has endorsed the fake news fomented by Fox and Breitbart and their ilk and has fanned the flames of Deep State conspiracies and Q-Anon craziness. So, is it really likely that the testimony that Mr. Cohen will offer publically today will change any minds? I doubt it. It may be entertaining for those of us who want to see Trump embarrassed, but it’s not today’s testimony that we need to be watching, so much as what becomes of it. What actions, if any, will be taken by those in a position to act? Will there come a point where upholding the Constitution becomes more important to the likes of Mitch McConnell and Lindsay Graham than the pursuit and consolidation of power? Will there be something in Cohen’s testimony that tips the balance? Will public support for Agent Orange erode enough that a couple more brave GOP Senators peel away? If there hasn’t been anything that rose to that level yet for the bulk of the GOP, I really have to wonder why that would change today. The believers and the enablers have plenty of cover now, between discrediting the eminently discreditable Mr. Cohen AND blaming fake news and the Deep State for absolutely everything. My hope is that SDNY will continue to pursue all of this. Our Federal institutions — Congress in particular — have proven themselves too swampy to deal with the quintessential swamp creature. Maybe they will redeem themselves — the House is starting to — but I’m not holding my breath. And then there’s this: Does anyone else think Donnie has embarrassed himself with a really pathetic dye job? And here’s an excellent summary of recent events from Trevor Noah…well done! I actually wanted to avoid writing about boundaries today, but the topic wouldn’t go away, so here I am. So, by boundaries I don’t mean anything like Trump’s absurd and over-hyped wall. Yes, boundaries are about drawing lines and keeping things out or keeping things in. But the kinds of boundaries I am talking about are personal. They are generally less intrusive and much closer to the heart than whatever the orange miasma is talking about. Boundaries are complicated. Oftentimes, they are uncomfortable. And yet, they give us shape. My boundaries give me shape — and I am a little bit ambivalent about that. Growing up in a household with skewed boundaries, I learned that my personal boundaries were meaningless, and the world was to be walled-off. Saying “No” to an invasive adult never meant anything. And on the flip side, what might have appeared to be a boundary was really just the constant (and futile) effort of trying to keep what was happening in the house a secret from the outside world. And for most of my days I have been good at having those big and rigid boundaries that keep life at a distance. But up close and personal I’ve been kind of like a sieve. What I’ve been learning, in more recent years, is that having good boundaries is at its heart a matter of intimacy. Having boundaries means that the distinction between inside and outside is clear and strong. I can let you come close, knowing that I can and will say no if I want/need to. It means that I am not porous. Yes, I let things in and I let things out, but there is always choice involved. It doesn’t just ‘happen’ to me. This is as much about self-trust as anything else. Of course, I can’t control what others do, but I always have a say in what I allow to come in and what I let out. It is self-revelatory to say yes and to say no. It is self-defining, affirming, and powerful — even if it doesn’t ‘work’ in a particular situation. And here’s the other thing: Holding something is different from hiding it. To hold something, be it a feeling or a piece of third-hand information, is a capacity you develop. It’s like a muscle. With use that muscle gets stronger and your capacity expands. Being able to hold things feels to me like a kind of wisdom — not reacting to feelings and/or information but having a self that can contain and tolerate uncertainty — a self that makes choices about when to act and when to let things be. Strong enough to recognize when to act and when to let life unfold, ‘holding’ the feelings that non-action elicits. Having boundaries, I have shape and heft. With that comes responsibility. I make choices. I make mistakes. I am human, and I am not behing a big f**cking wall — I am right here! So, it arrived earlier than expected and now comes the part where I need to start using it. I am intimidated by the bullet journal, wanting it to be somehow perfect, rather than making it my own and letting it be messy, exploratory, experimental. It’s an interesting quandary. I feel frozen, afraid, tied in knots. The words are strong, and the feelings are a bit smaller than that, but the resistance is undeniable. And see how nice the two books look with the pen? They’re not so daunting, posing there like that. They look like they have all manner of cool stuff inside, don’t they? I joke about the pen, but, as HollyCornblog pointed out, I have always loved fountain pens. I turned away from them, and toward computers, starting about 30 years ago, and something happened. I think that’s where I started losing touch with the flow. Trying to find my way back, I’ve tried the practice of just writing without editing. No stopping. No going back and making changes. No formatting. Just keep going and see where it takes you. And doing that I can feel how scary it is for me to be untethered – unconstrained. I am careful to a fault. So careful that I go back and check after each sentence, practically. But the thing is, I’ve been doing that on the computer. Clicking away, eyes on the keyboard, plowing ahead and making no changes. So, this morning I tried a bit of writing. Not on the computer, just quietly, on a page in my bullet journal, with my wonderful new yellow pen. Writing like I used to, back in the days when HollyCornblog remembers my love of fountain pens. And I can tell you that it truly did feel different. What I especially noticed were the sounds. Small sounds that accentuated the quiet and brought me back to myself. Just the sound of the pen on the paper, and of my hand as it moved across the page. These placed me in the moment, clearly and quietly. And if there was any doubt, the slow, steady sound of my breathing underscored the fact — “I am here.” And with that, I see how this connection of hand, pen, paper, and breath is my path to flow. And I’m excited about that. Not getting ahead of myself, as I often do. Taking it step-by-step, and letting it flow. I bought myself a fountain pen yesterday. I didn’t need a fountain pen. And, until Katie showed me her fountain pen, I hadn’t realized that I wanted one. But once I realized, I took action swiftly and decisively. It’s slated to arrive tomorrow. So, the pen will arrive tomorrow. It’s yellow, so there’s that. It will compliment my bullet journal, which is orange. And I am pretty sure that it will help me fill in the pages of “Ideas” that are currently more blank than I’d like. February has just under a week of days left, then there comes a brand new month. A new beginning, brightened by a yellow fountain pen. Surely this is the piece that has been missing all along! In fact, I was kind of surprised at the overall lack of foot-support and amazed to think of the many years I pounded up and down basketball courts wearing some version of the shoe. But I was interested to learn from a friend, the other evening, that Kamala Harris has a bit of a Chuck Taylor fetish. Maybe fetish isn’t the right word (wouldn’t want the GOP to hear that). Let’s just say she likes Chuck Taylors unabashedly. Now that strikes me as a wonderfully practical approach to life on the campaign trail. Running through airports in her converse sneakers — that’s a woman I can get behind! Here’s an article about how she ‘gets it done‘ that offers a glimpse of Kamala’s everyday life. And, because I need to get the hell out of the house and on the road to work, here’s an interview Trevor Noah with KH that I watched last night. Sorry for the abrupt shift. I am pretty sure that all of this writing will improve once my yellow fountain pen arrives.